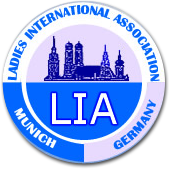 The LIA The LIA is affiliated with an international network of Women’s Associations called 'Open Door'. In 1980 Mrs E. Sammann, President of IWC Stockholm, started the idea. Unaware of each other’s activities Mrs Ismelda Pellet, Vice President of IWC The Hague, had also set up a network. They joined forces and at the end of 1988 Open Door had 33 Associations registered. The objective is to "open doors" to International Women's Clubs all over the world, thus facilitating the introduction of its members to similar groups of international women whenever they move to another country/city. Currently 61 International Women's Associations in 33 countries are listed. They 'open their doors to each other', promoting international understanding and good will. All Open Door services are for members only.